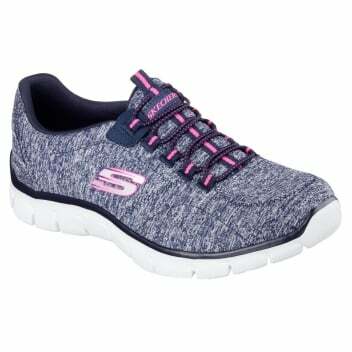 We love these relaxed fit, sporty Skechers. With a bungee chord lace, flexible outsole, and air cooled memory foam insole this is the perfect casual walking sneaker. Created in a soft heathered jersey knit fabric, you'll always be stylish, however you wear it.